SpaceX is targeting Sept. 19 for the launch of its next cargo mission to the International Space Station. Launch time is 2:38:44 a.m. Eastern from Launch Complex 40 at Cape Canaveral Air Force Station in Florida The Dragon capsule will fly on a Falcon 9 rocket, both built by the Hawthorne, Calif.-based company. It will carry experiments, supplies and other cargo to the orbiting laboratory where the astronauts living on the station will unload it and put it to use. 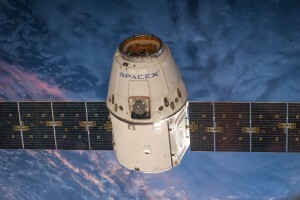 The Dragon will be loaded with used experiments and other materials no longer needed on the station before it makes its way back to Earth and lands by parachute in the Pacific Ocean.